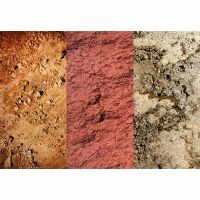 Munsell Soil Colour Charts are an affordable way to evaluate the type of soil that is present within a given area and allows users to, quickly and easily, make soil colour evaluations in the most testing field conditions. The Munsell M50215B Soil Colour Charts are used by a variety of industries and professions such as universities and high schools, forestry, forensics, environmental and soil science, building and contracting, landscaping, real estate, health departments, geology and archaeology. See the full specifications of the latest Munsell Soil Colour Charts revision.